Last week the wonderful staff from The Travel Corporation joined the team at the GSPCA. 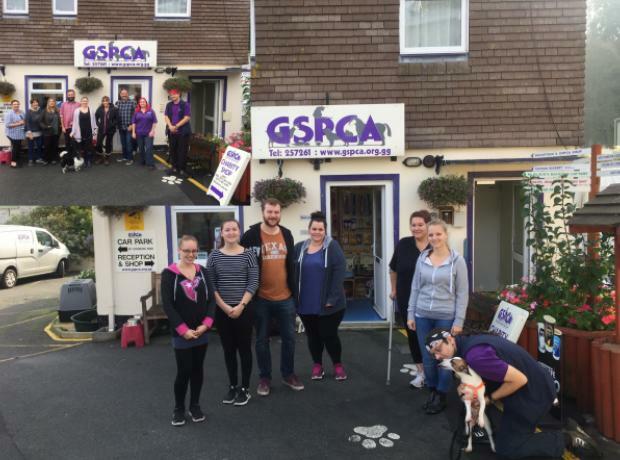 This is the sixth year in a row team members from The Travel Corporation have helped at the GSPCA and we are incredibly grateful to them. On Thursday 11th April 5 of their team arrived just after 9am for a full day of hard graft helping out at the GSPCA in St Andrews. 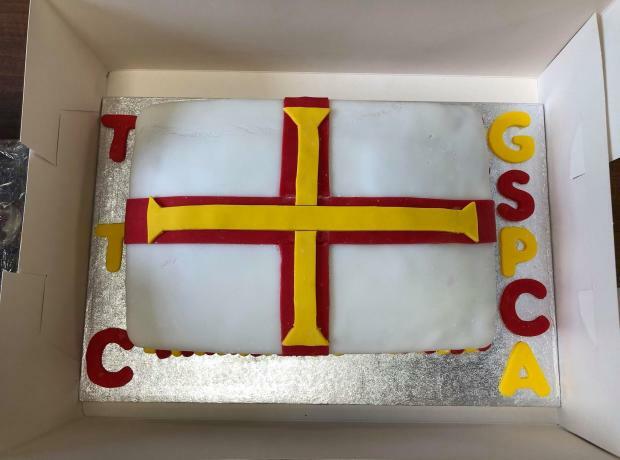 Last month the wonderful staff from The Travel Corporation held a bake off to raise funds for the GSPCA. 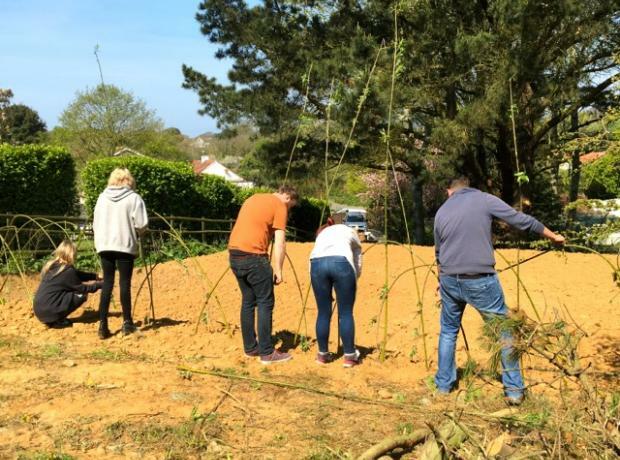 The The Travel Corporation team are amazing supporters of the GSPCA giving up days in the office to help at the Shelter to being part of our Build Partner sponsorship scheme which helped build our multi purpose animal welfare building. In April the wonderful staff from The Travel Corporation joined the team at the GSPCA over 3 days. This is the fifth year in a row team members from The Travel Corporation have helped at the GSPCA. On the 21st and 27th September the wonderful staff from The Travel Corporation joined the team at the GSPCA for the 4th and 5th time this year. This is the fourth year in a row team members from The Travel Corporation have helped at the GSPCA. Last Friday the wonderful staff from The Travel Corporation joined the team at the GSPCA for the third time this year. Tom Forman, Emma Kelly, Sarah Gaudion & Eleanor O’Donnell arrived at 9am had a short induction, quick picture with Lexi the akita in need of a home and GSPCA staff member Seb Goman. On Thursday 20th and Friday 21st April the wonderful staff from The Travel Corporation joined the team at the GSPCA. This is the third year in a row team members from The Travel Corporation have helped at the GSPCA. This is the fourth time this year team members from The Travel Corporation have helped at the GSPCA and we also had many of their team assist us last year. Yesterday 5 staff from The Travel Corporation joined the team at the GSPCA and gave up a day in the office to help out. This is the third time this year team members from The Travel Corporation have helped at the GSPCA and we also had many of their team assist us last year. Last Wednesday 5 staff from The Travel Corporation joined the team at the GSPCA and gave up a day in the office to help out. This is the second time this month team members from The Travel Corporation have helped and 3 of the group had helped last year at the GSPCA. Last Thursday 2 staff from The Travel Corporation joined the team at the GSPCA and gave up a day in the office to help out. Ashley Conquest & Kiera Hanley arrived at 9am where they received a short induction before helping around site with the 300 animals at the Shelter in St Andrews.